I must admit that I have yet to use many apps in the field of online marketing and social media. I do not use social media in a professional way as of yet and that has made taking these courses a little challenging. I learn best by doing, and there have been a few times that I’ve been stuck. I know that what I’ve learned in this course, as well as the other 2 this semester, will come in handy next fall. For now I’m doing my best to store as much knowledge as possible. One App that I did not know well, that I definitely have a better appreciation for now, is Mashable. Over the last while I have heard about Mashable so many times but only during this semester did I really understand what it is and how handy of a tool it really is. In short, Mashable is a tool that will deliver news on technology, apps, social networking, mobile information and basically anything Internet based that is in the news. The tool aggregates all this information into easily readable tabs and is easily searchable. Because of its ease of use, up-to-the-minute delivery and adaptability, I think it is a phenomenal tool for individuals wanting to stay abreast of what is happening in social media. Part of the challenge with social media – both professionally and personally – is how quickly things change. Any business that wants to spend any time marketing on social media would benefit from being up to date. I took this course as part of the social media certificate program with the hopes that I would use it in my professional life. I work for the public service and have begun using social media more and more in the office. I was hoping that the entire program would provide me with an understanding and expertise that I could use at work. The unique aspect of my situation that I think affected what I got out of this course, along with the entire certificate program, was that I am hoping to use this newfound information in a public service environment. A lot of the time the assignments or content of the certificate program were very focused on personal branding and personal blogs. This was challenging for me because of the fact that I was not planning to use social media for a personal experience necessarily. For this course in particular, I really enjoyed the content relating to telling a story. I took a lot out of understanding how to communicate to your audience, the importance of knowing who your audience is, and the benefit of having two-way conversations online. These were all aspects of social media learning that I feel I will use at work. Another aspect of this course that I found really interesting was understanding branding in an online context. All in all, I came into this course hoping to learn how to develop and disseminate meaningful content. I wanted to find a way to facilitate conversations and engage with my audience. I feel that this course in particular addressed a lot of this and I feel that my needs were certainly met. With the completion of this course, I hope to use storytelling to engage with youth (my target audience) about the history of parliament and the parliamentary process. I hope that I can use a new voice online to create a two-way dialogue that ensures my message is received in a way that matches the needs of my audience. I think this course has prepared me to be able to accomplish this. I have never really had to do much networking. While in University I started working for my current employer on a part-time “student” basis and when I graduated I was lucky enough to stay on full-time. I have been lucky to enjoy changes in my job profile while never needing to change employers or even teams. Needing to network my skills, both in person and online, is completely foreign to me. Despite never having to do any sort of networking, I know that it is important for me to do – both within my current place of employment but also outside of this “bubble”. It will allow me to stay current, motivated in the work that I do and excited about my field. My immediate goal is to establish myself online. I have, over the past few months, begun the process of developing my LinkedIn account. I will admit that I joined LinkedIn nearly 3 years ago but when I saw the amount of effort and time needed to establish a good profile I was turned off and never really spent any time on it. At the time, I had thought, “Well, I have a job that I enjoy. Why would I spend all this time setting up this profile?” I have since spent a lot of time working on it. Now that I have developed my profile and added some content, my goal over the next few months will be to extend my network. I would like to begin adding contacts outside of my friends. Currently, all my connections on LinkedIn are friends, family and current coworkers. I would like to gain the confidence to begin adding leaders in my field, and other business individuals with careers in which I aspire to or would like to learn from. This is the step that I know needs to happen for real networking to begin, but it is one that I lack confidence in. I know that I can gain so much knowledge and opportunities from growing. I would like to establish a habit of growing my LinkedIn network on an ongoing basis – Not just for 6 or 12 months. In addition to improving my online presence I would like to spend more time networking in person. I would like to do this by trying to join new committees at work and stepping in on meetings when available. Outside of my office, I would like to try to attend special events, seminars or networking evenings in my field. I would like to get to know some like-minded young workers within the Ottawa area. I feel that stepping outside of my comfort zone and putting myself out there will help me to improve my own confidence it my professional capabilities. For me, networking isn’t only about getting myself known and finding a new job. It also allows me to learn about how I can improve in my current job. It allows me to fine tune my expertise by connecting with bright, educated and motivated individuals and allows me to connect with people that I may be able to partner with in my current job in future projects. It is this interconnectedness with other people that excites me about networking. Personal branding is such a daunting task. On the outside, it seems like it would be a great way to “package yourself’ and sell a certain persona that you think an employer, or individual wants. But, in reality, it is not about being fake or plastic. The goal is not to create what you think is the ‘ideal personal brand’, but rather it is about being authentic and honest about who you are and what sets you apart. With reflection on what a personal brand is, I feel that I am a dedicated, hardworking and kind soul. I give my all in every endeavor I take on. My dedication can be seen in the fact that I have spent my entire adult, working career to one organization – a feat not often seen these days. In my personal and professional life, I strive to ensure that everyone is included and that individuals are not hurt. I do not do this by sacrificing in quality of work, or quality of professional experiences but through cultivating mutual respect and communication in a team environment. Through all of this, I am still able to cultivate myself. This is both physically and mentally. I take care of myself so that I can take care of others. I choose to continue to learn and expand my mind – taking additional classes outside of work hours, for personal growth and not at the request of an employer. I am constantly choosing to become a better “me” each and every day. I am also optimistic – I see the world as half full, never half empty. I hardly EVER complain and when I do, it is mostly that someone I love has been treated unfairly by the world. I choose to see the best in people and always give them the benefit of the doubt. I truly believe in the good in people and the world. Those that spend time around me know this about me. I wear my spirit and my passions on my sleeve. I come by my strengths and weaknesses honestly and strive for relationships to reflect this. I am truly authentic. While this may be only the start of fine-tuning my personal brand, one aspect that puts me at ease with this is knowing that it is ever-evolving, fluid and adaptable. A B2C business, also known as “business to consumer” business is characteristically defined as a business whose marketing goal is “….. to convert shoppers into buyers as quickly and consistently as possible” (COM0014 Course Lesson Content 4). When reflecting on this definition, one business that consistently came to my mind was The Gap. Over the last few years I have noticed a very distinct change in The Gap’s marketing and online presence. Their website, Facebook page and weekly / daily emails to consumers are very aggressively targeted towards online sales. Their marketing is almost always about a “one time sale”. I have noticed a decrease in television ads and an increase in web advertising. When this trend initially started, to be honest, I was sucked in. When their emails would arrive I often fell for the “big sale” promise. I would click forward and often buy some new piece of fashion that I was not planning on shopping for that day. Unfortunately, I think they are a great example of what not to do. Their marketing is so aggressively targeted and consistent, that I no longer even open the emails. They come so frequently and always offer a promise of a “great deal” that I no longer believe the hype. I have begun to tune them out online because they have been so blatant and one sided in their connection with consumers. They have missed the fine art of balance online. Social Media backlash is one of the things I worry most about having a professional online presence, and being responsible for the content on these sites feels tremendously heavy. After reviewing the Motrin case study I feel as though they handled the “crisis” in a respectful, responsible and appropriate way. I think it was important that they address the backlash, and the fact that the CEO was the one to make a statement was certainly appropriate. The case study mentions that Motrin was appropriate in NOT having a press conference to address this and I have to agree with this. The backlash and controversy was presented online and thus it was appropriate to address the online community. Having a press conference would have possibly brought a new audience into the scene that may never have even been aware of their ad campaign and how it was perceived by a few. I have to disagree with one aspect of the case study. This report tends to suggest that Motrin responded too slowly. I feel as though responding too quick may have resulted in a rushed, quick and seemingly insincere response. Taking their time to ensure the right person (CEO) responded with the right words was an important step to ensuring that the message was appropriately received by the target audience (those that were insulted and angry). A poorly worded apology would have certainly been many times more detrimental to their brand than the alternative. For this reason, taking a little bit of time to formulate their response was justified. In 2003 my husband bought into a restaurant and has worked as an owner and operator ever since then. As I am sure you can agree with, the restaurant industry is very fickle, and what can be successful one day, could be brushed aside the next. One thing about the restaurant that I think has made is so successful is their ability to reach their target audience. They are clearly aware of who they attract and they don’t try to be something other than they are. Many restaurants would try to be “trendy” and reach a younger, hippy crowd. But this is NOT what my husbands’ restaurant does. The target audience that the restaurant connects with is middle aged and up (50+). Often times when you go into the restaurant at dinnertime it’s full of a lot of white / grey hair. As a restaurant with mid-range pricing, a menu focused on chicken, ribs and pasta with a Greek feel to it and a trendy, yet comfortable atmosphere, the older community feels comfortable and at ease here. The strongest influencer for the restaurant with respect to determining their target audience is certainly the community in which the restaurant is located. Being in Nepean, and not far from Algonquin College, Centrepointe Theatre and a couple retirement communities, the restaurant draws from all these pools for the majority of their traffic. While the College certainly does draw in some younger crowd, the majority of those at the college that do visit the restaurant are often faculty. The restaurant recognizes how unique their community is and welcomes this demographic without trying to be something it isn’t. In order for them to communicate effectively with this natural target audience, the restaurant regularly partners with Centrepointe Theatre to offer discounts / coupons and for advertising. A secondary target audience that the restaurant connects with is the student population of Algonquin College. In order to tap into this secondary target audience the restaurant has begun to use social media. They are active on Facebook on a regular basis and reach out to the younger population. Because they are aware that this is not their primary audience the restaurant does not spend as much money or time on this audience but they are still aware of it. The restaurant is lucky in it’s ability to reach a varied demographic. Their main target audience is reliable, stable and often has disposable income. The restaurant recognizes this and focuses a lot of their attention on this age group. Unlike many other restaurants, they are lucky to have a constant and reliable secondary audience. They are making steps to engage this younger crowd without losing sight of the older age group. 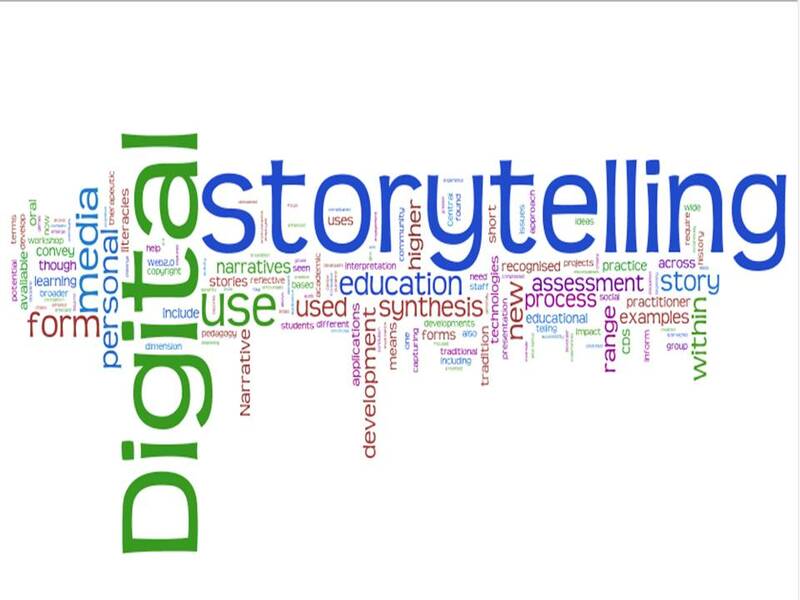 This weeks’ lesson content, on digital storytelling, was particularly interesting to me. As a writer at work I am always interested in learning how to write for the web in a more engaging and interactive way. On a daily basis my team at work writes about Government and the Parliamentary process for youth. As you can imagine, the topic that we cover isn’t necessarily “cool” for our target audience. Despite that, I still strive to grab the attention of at least one reader. If I do this, than maybe I have succeeded right? Digital storytelling, while similar to more traditional forms of writing, certainly has it’s own unique set of rules. According to Alan Martin at Inspired Mag (http://inspiredm.com/persuasive-writing/) there are no less than 27 steps to writing better for the web. Sounds easy. While many of these tips are useful for all forms of writing (Use the 5 W’s, know your audience, watch spelling and grammar) there were certainly a few unique tips that I feel certainly would help in the new world of digital storytelling. The idea of keeping writing short and simple is important and is one suggestion that I have heard multiple times. This is one aspect of writing that I struggle with. I often catch myself adding in fillers. Adjectives and adverbs have been my go-to’s for many years. I now find myself having to retrain my style of writing. I need to remind my self that using them for the web doesn’t add to my story. In fact, these extra words become distracting and detract my readers from my message. I am happy to practice writing for the web. I strive to engage my readers, master the “inverted pyramid of writing” and build a voice that not only teaches my reader but engages it at the same time. For any young family, taking a vacation often becomes somewhat of a rarity and those that do take vacations often replace expensive long trips with quick family-friendly mini-vacays filled with trips to a zoo or Disney-related parks. For me, being in the throws of “young family” right now, the option of taking long, exotic, cultural and unique vacations is a thing of the past. No longer do I get to take off on weekend getaways with my girlfriends for shopping and eating in Montreal, I no longer book last minute trips to Mexico with my hubby to sit and bask in the sun in the middle of February. Those vacations are long gone and have been replaced with a simpler style of vacation. For the past 3 years my vacation has been spending the month of July at our family cottage. Our cottage is located in Carleton Place, on the Mississippi Lake and, while really close to home, it feels like a little retreat from the real world. It is such an ideal location because it is close enough to the city that we are able to stay connected with family and friends, we are able to have guests come a visit frequently and my hubby is able to commute to work in Ottawa for a portion of the month. Its location is what makes a month away a reality. Our kids are able to remain in contact with their friends and join in on birthday parties if needed but the change of scenery makes everyone excited and a little closer to one another. I treasure our time there despite the fact that the month is often filled with days of doing “nothing”. We spend our days sitting by the lake, going for long, aimless boat rides, eating excessively, taking day trips into Carleton Place or little drives to Perth or Almonte. The kids get excited to go to the Laundromat and spend little to no time on electronics or even watching TV. Its like the time there is a bit of a “reboot” for the family and allows us time to refocus our attention on one another. My two little ones share not only a room but a bed. They spend their nights cuddled together in a double bed giggling about something they did in the day and wake up in the morning whispering ideas for the day ahead. It’s simply magical. The cottage itself is nothing special. It’s actually one of the few real cottages left on our shoreline. The neighbors have for the most part replaced their small, traditional cottages with year round homes. Our road is now officially maintained year round with snow removal in the winter and mail delivery in the summer. Despite this, however, we are in no rush to make the change and renovate our space. And ensure that the change in surroundings does not change our experience on the Mississippi. This coming year we will once again leave the city for the month of July. We’ll fill our time with lazy, friend filled afternoons by the water. If you haven’t spent time on the Mississippi I highly recommend it. It truly is beautiful. The lake is lovely, the shoreline has basically no weeds and is shallow enough to sit in a chair in the lake. Who could ask for more? Before beginning this first blog post, I have to admit that despite my love for social media, the amount of time I spend on my computer, iphone and ipad, I still find myself learning about new tools everyday. I have tried over the last 6 months or so to really look at all my options with respect to online tools. I think, however, that my distance from my professional life right now and being at home with my children, has made it difficult for me to put in to practice some of what I have learned through the few courses taken at Algonquin thus far. Playing online for a few weeks with these tools I have studied and reading articles is SO VERY DIFFERENT from actually using them on a day – to – day basis in a professional environment. While I do not have professional, “real world”, experience with any real listening tools, the ones in which I feel somewhat confident in are Hootsuite and Talkwalker. Both have been fairly easy to understand and appear to offer a lot of variability and versatility to individual users. Hootsuite will allow a user to track mentions for several different keywords such as a company, brand name, product or service, industry, the competition or a particular market term. When I imagine my use of social media in my work environment this particular tool appeals to me because my environment is so unique (Parliament) and our “market terms” are so varied. Talkwalker is an easy social media-monitoring tool that provides updates in the form of emails of the latest and most relevant mentions as they happen. For me, the aspect of this tool that appeals to me is the ease of setting up email alerts. While I do admit that pretty much all monitoring tools these days do offer email alerts, there is something about this tool that feels easy to understand and seems to be a tool that will suite my job profile. I certainly have more experience with online social media tools used for news and updates. For me, these tools help me to stay in touch with the professional world. They allow me to remember my industry key words, remain “in the know” with changes and keep me stimulated in a way that Facebook and Pinterest simply cannot. My two “go-to” tools for staying in the loop with news, both worldly and local and within my industry is Twitter and LinkedIn. LinkedIn has been an incredible tool for me to remain connected with individuals in my field and has allowed me to network during the time that I have been (technically) off work. I will admit that when I first logged on to LinkedIn, the amount of time required to set up a profile and become familiar with the site was a bit of a turn off. I even went so far as to log off and didn’t go back to the tool for quite some time. However the pay off is SO WORTH the time required to really set up. And I will also say that once I started setting up my profile I became more and more confident with my online language and terms appropriate for the site. As I became more familiar with it I found that I WANTED to add more information. Twitter has fast become my go-to tool for all news related information. Whether it’s a snowy January day and I need to find out how the roads are, or whether I need to find out school news for my daughter, twitter is the first place I go to. While I still find that I don’t tweet a whole lot, I find the platform to be user friendly and very quickly becoming a trusted place for news. Spending time on these sites, and continuing to stay connected socially, continues to broaden my horizens and challenge me in such a different way than my job would otherwise. I look forward to using listening and monitoring tools more as I become increasingly familiar with their offerings.